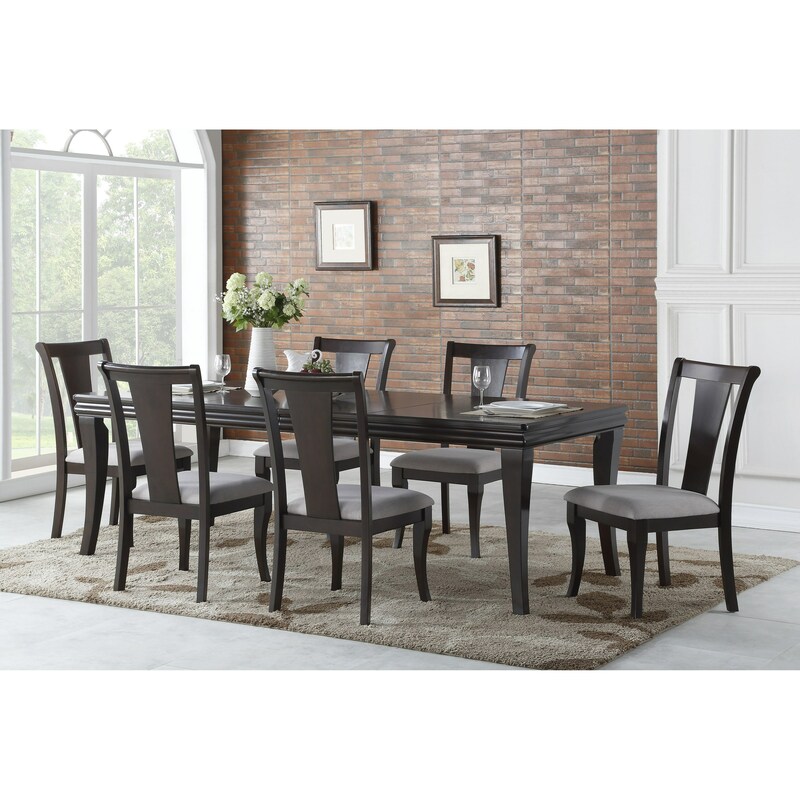 With a relaxed and livable look, this dining room table set side is perfect for your casual dining room or kitchen. The chair features design details such as gracefully curving, tapered legs, plush upholstery and a solid panel on the backrest. The table has a unique indented apron, and like the chairs, gracefully curved legs. 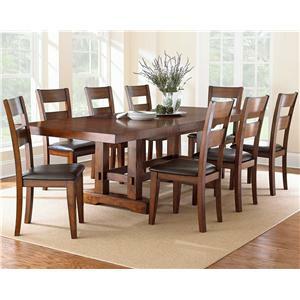 Any guest will feel at ease on this simple and sturdy, yet sophisticated, dining room table set. The Aubrey Transitional Dining Room Set by Steve Silver at Furniture Superstore - NM in the Albuquerque, Los Ranchos De Albuquerque, Rio Rancho, Santa Fe, Corrales, NM area. Product availability may vary. Contact us for the most current availability on this product. The Aubrey collection is a great option if you are looking for Transitional furniture in the Albuquerque, Los Ranchos De Albuquerque, Rio Rancho, Santa Fe, Corrales, NM area. Browse other items in the Aubrey collection from Furniture Superstore - NM in the Albuquerque, Los Ranchos De Albuquerque, Rio Rancho, Santa Fe, Corrales, NM area.